A loan of $4,950 helped a member to buy a large quantity of beer for resale. Léonie is a member of the Amini group and lives in Kayanza. She is married to Adelin, a merchant. The couple have five children aged between 28 and 5, four of whom attend school. She has been selling commercial beer and banana wine for 15 years. This is her 19th loan from Turame. This Kiva-sponsored loan will increase her capital and allow her to buy a large quantity of beer for resale, so that she can earn more money. In the years to come, she would like to see her children get an education. Léonie fait partie du groupe Amini et habite à Kayanza. Elle est mariée à Adelin, un commerçant. Ensemble ils ont 5 enfants âgés de 28 à 5 ans dont 4 étudient. Elle fait le commerce de bière industrielle et de vin de banane depuis 15 ans. Elle est à son dix-neuvième crédit à Turame. Avec le crédit KIVA qu’elle obtient, elle va augmenter son capital et acheter une grande quantité de bière à revendre pour gagner plus. Dans les prochaines années, elle voudrait voir ses enfants etudier. It supports entrepreneurs living in conflict zones in Burundi. Turame works in Burundi, a country that has been rocked by instability in recent years. 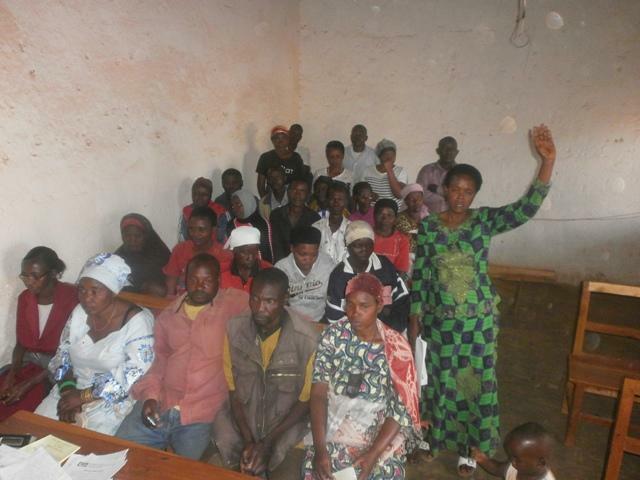 Despite the conflict and a very challenging operating environment, Turame continues to offer financial services and training to Burundians who otherwise lack access to quality financial services. Turame operates in a very poor, post-conflict region with limited financial infrastructure and an underdeveloped microfinance market. Despite these challenges, the institution succeeds in serving a large rural client base that is 90% women. It offers both group loans and services that facilitate savings. In addition to these offerings, Turame provides training in standard finance topics, as well as peace and reconciliation practices and HIV/AIDS prevention.